Around the time you hit 50 years old, your thoughts shift to making sure that you can sustain your lifestyle after you retire and throughout your retirement years. One of the worst things that can happen during your time in retirement is finding your funds running low with no way to pay your bills except to go back to work in your 70s. What Can We Offer You at Income for Life? At Income for Life, you won’t have to struggle on your own to figure out how best to fund your retirement years. The process can often be complicated and frustrating without the right people at your back. With a staff of over 400 dedicated individuals, you will have the perfect retirement planning team with years of experience right at your fingertips. We provide a variety of income planning tools to help you know that you will have guaranteed income throughout your retirement. From the top national annuity products to help with social security planning, we have searched for the very best investments for our clients. You won’t have to dig through the thousands of options available for you and read all the fine print. We’ve already done that for you! When it comes to investing your retirement money and being sure that you can retire with guaranteed income, you want to work with an experienced retirement income planner. With years of experience helping pre-retirees prepare for retirement, the Income for Life team has the knowledge and experience that you need! We like to pride ourselves on being experts at common sense retirement planning and continuing income to help you STAY retired. What Makes Income For Life Different When You’re Investing for Retirement? Here at Income for Life, we are independent advisors that have your best interests on the forefront of our minds. We were founded on the principles of high integrity and accountability for our actions. With that in mind, there are several reasons that Income for Life should be your first and only choice for retirement income planning. As previously mentioned, Income for Life is an independent retirement advisor firm. We work with a variety of top insurance companies in order to provide you with the best annuity options. We aren’t tied to one provider and, therefore, neither are you! 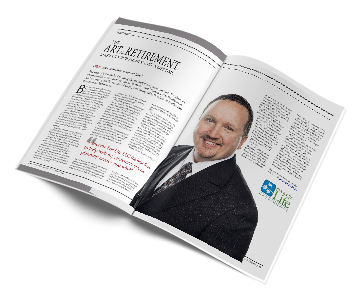 Income For Life specializes solely in retirement income planning. We don’t do any other type of financial planning. That means we know every little detail concerning retirement and how to help keep you in retirement with guaranteed income. Among many other aspects and benefits that makes us different, is the fact that our services are free to you! We can advise you and help you plan your retirement with your goals in mind, and you don’t pay us a dime. We do get paid, but we get paid directly by the annuity companies that we work with. Don’t look anywhere else when it comes to your retirement planning needs! Call us today at Income for Life for more information on what services we can offer you! See what our clients are saying about our 400 back office team members and certified financial planners at Income For Life. Income For Life has worked hard to earn the trust of his clients. For your retirement income planning needs, you deserve the best! From long-standing clients to industry leading retirement income providers, our team are the trusted retirement planners to turn to. With strong relationships in the retirement industry and a reputation for helping people to succeed in retirement, Income for Life is the premier choice for your retirement income planning needs.